To get the full benefit of branding, companies must actually live the brands they sell. 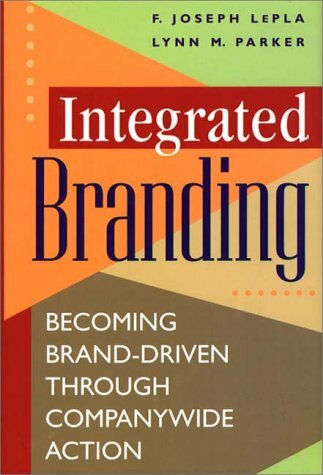 This approach is called integrated branding and it's not just a communications strategy. Companies must demonstrate to themselves and their customers that its brands are what the company is. The Brand and the company are inseparable, and that realization must pervade the entire organization, from new product development to human resource management. Integrated branding is a way of operating, an overall way of doing business, and a way to make certain a company's products are based on the right answers to two mutually reinforcing questions: What do customers value and what does the company do best in relation to what the customers want? The tools to accomplish these goals are called drivers. LePla and Parker show clearly and comprehensively how drivers work and how to apply them. Not just for marketing directors, strategy planners and executive policy makers will also find this to be an essential resource in their quest to increase market leadership and to enhance the bottom line. Through their integrated brand model, LePla and Parker discuss both organization drivers and brand drivers. They see the process as a research-driven one that gets everyone in the organization contributing to the effectiveness of its brands. With brand tools accepted throughout the company, people can determine more easily and accurately whether their decisions and actions will actually further the brand. The authors show how different companies apply their model in different ways. LePla and Parker also include discussions of how to determine brand structure, how an integrated brand applies to marketing communications, and how integrated brands can help companies when they go public.